Dell has announced that it is bringing its Women Funding Women global tour to Dublin on the 6th February in order to shine a spotlight on the investments made in women-led companies. The aim is to encourage greater access to venture capital funding and to fuel the scale-up success of female entrepreneurs in Ireland. A key element of Dell Women’s Entrepreneurship Network (DWEN), the Women Funding Women event will bring together over 100 investors, innovators and influencers in Dublin to create new connections that can increase the representation of female business leaders and entrepreneurs within Ireland’s ecosystem. 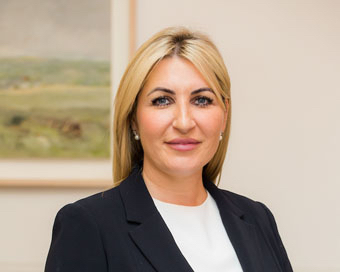 Delivered in partnership with Springboard Enterprises, the Women Funding Women event will feature Anita Finnegan, the founder of Dundalk-headquartered cybersecurity start-up Nova Leah, and a leading investor behind the company’s recent €2.25m funding round Jayne Brady, Partner of Kernel Capital. Ingrid Devlin, Director of Dell Women’s Entrepreneur Network, said: “We are delighted to bring the DWEN Women Funding Women event to one of Europe’s leading tech capitals and showcase the vibrant female start-up ecosystem and investment opportunities for growth on this island. Aisling Keegan (pictured), Vice-President and General Manager, Dell EMC Ireland and keynote speaker at the Women Funding Women event, said: “At Dell EMC Ireland we are committed to increasing the important role that women play in driving business growth. Women share a unique approach to business that can unlock innovation and transformation.